On arrival, ourguide will hold a welcome sign to meet you and transfer to the hotel.Stay at Holiday Inn Express Zhabei Shanghai. Visit the Bund ---The Bund shows off Shanghai s outstanding foreign buildings, most of which were erected before 1937.itis the emblem of Shanghai, the area used to be British concession. 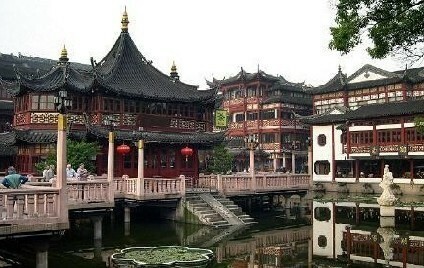 Move to the Yu Garden-----the typical private garden in China with nearly 500 years history. Continue the Jade Buddha Temple----- the most famous buddist temple inShanghaiwhere two rarejade statues of Sakyamuni Buddha is treasured. Visit the Lingering Garden-----an ancient private garden with nearly 400 yearshistory. Visit Su Embroidery Research Institute--where you can learn more about Chinaem broidery. Visit Pan GateAncient City Wall-----Pan Gate is famous as the historic landmark in Suzhou.Itis located on the southwest corner of theGrand Canal.Originally built during the Warring States Period in the state of Wu,historians estimate it to be around 2,500 years old. Stay at Holiday Inn Express Suzhou Changjiang. 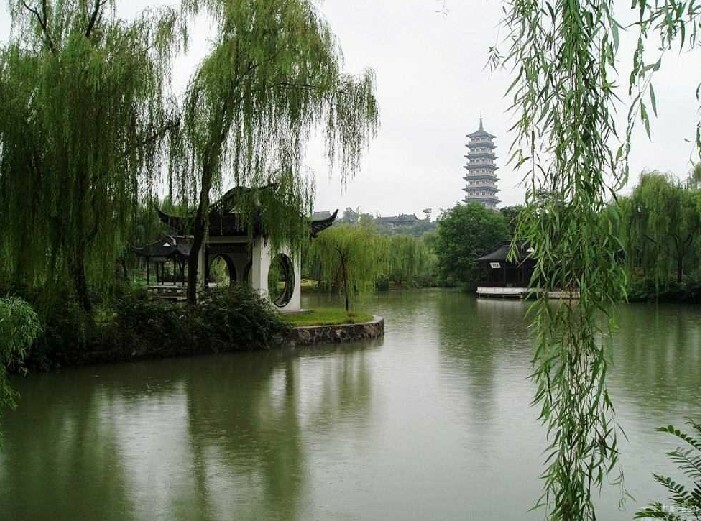 Meet your guideat your hotel in the morning,Drive to Wuxi,about 1hour by driving. 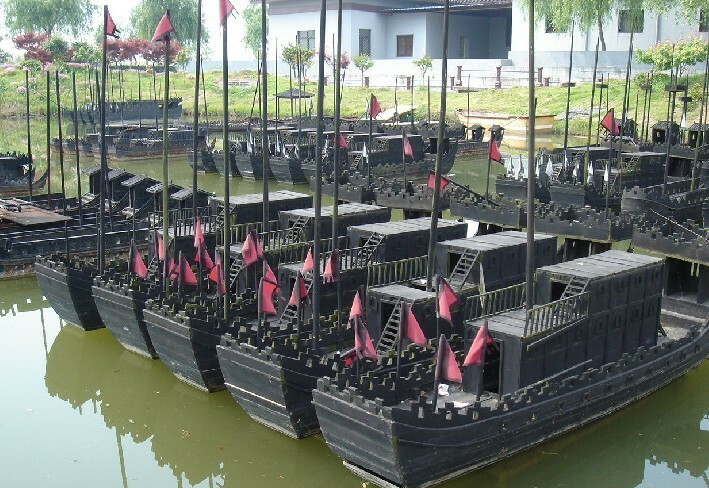 Visit the Three Kingdoms City---------which is one of the CCTV Television Bases, and a renowned tourist attraction. 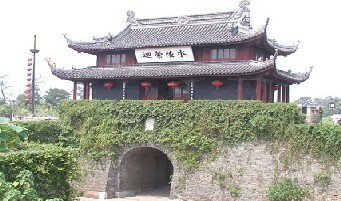 The Romance of the Three Kingdoms, a historical TV series, was filmed there. The title, Three Kingdoms, refer to Wei (220-265), Shu (221-263) and Wu (229-280) which were the three rival powers during the period of Three Kingdoms. Visit the Linshan Giant Buddha----One of the most impressive sights in Wuxi, or the whole of Jiangsu Province,it is a must place to visit for tourists. Drive to the hotel in Wuxi,over night stay at Wuxi International hotel. Meet your guideat your hotel in the morning,Drive to Nanjing,about 2hour by dr iving. Visit the Mausoleum of Sun Yat-sen--------- The majestic mausoleum's construction was started in 1926 and completed in 1929. The whole Mausoleum Scenic Area represents an alarm bell as seen from the air, symbolizing the noble spirit and heroic efforts of Dr. Sun Yat-sen's devotion to the Chinese people, fight of oppression and wining the independence of China. Facing south, the structures, along with the mountain ascends gradually along with the central axis line running from south to the north and is regarded as the most outstanding mausoleum in Chinese modern architectural history. Visit the Great Yangtze River Bridge ----First bridge across the Yangtze river. Over night stay at Nanjing Infinite View Hotel. Flying peak sightseeing------On the peak there are many grotesque rocks amongwhich scattered about 300 sculptures built from the Five Dynasties to the YuanDynasty (907-1368),making it the largest group of sculptures in ZhejiangProvince. Stay at Holiday inn express haiwaihai Hangzhou. Morning Breakfast at hotel,Meet your guide at your hotel in the morning. Drive to Wuzhen(around 1hr)-------It is one of six ancient water towns in south of Yangtze River with 1200-year-old history,the residential houses are built beside rivers,while on both sides of streets, abundant ancient architectures of Ming and Qing Dynasties still remain as they were.Strolling along the ancient slabstone-paved streets, looking at its black tiled, tung oil painted timber framework houses, it seems you are walking into a traditional Chinese wash painting and experiencing an atmosphere of antiquity.During the visit,you can pay a visit to Jiangnan Hundred Beds Showroom,Indigo-Blue Printed Calico Workshop,Mr.Yu Liuliang's Coin Display Room,Shadow-puppet Theatre,Ancient Stage,Pawn Museum. Drive to Shanghai around 2hours. Breakfast at the hotel. transfer to the Airport fly to your sweet home or your next stop. Note: you can change this itinerary to the way you want or to extend this tour to visit other Chinese cities, please do contact us, we will be happy to arrange it for you!